Are you about to install new curtains? If yes, consider the cost and cliche that it would bring you. 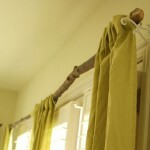 Take a look at a natural curtain rod – the tree branch. 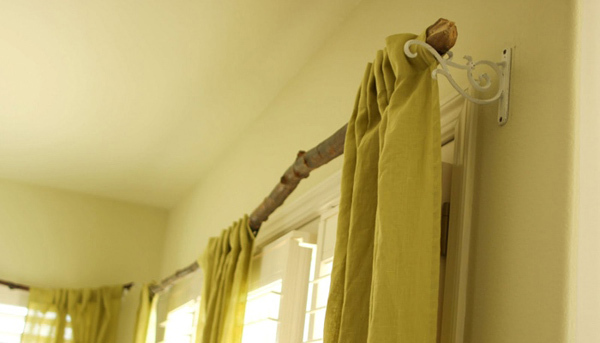 Follow these easy steps to make your awesome curtain rod! 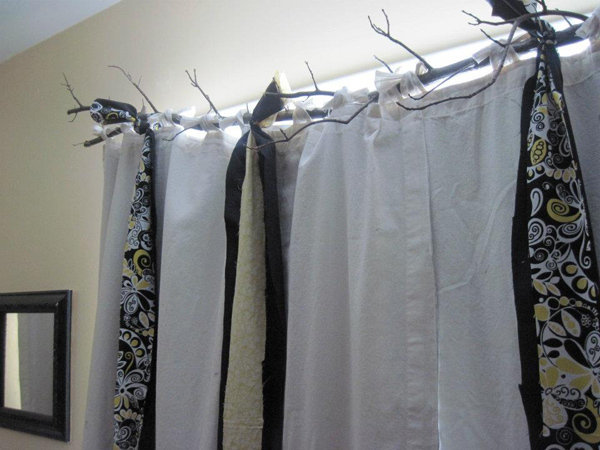 Curtains are essential part of our interior design, they come in various shapes and colors. And so do the curtain rods, or are they? 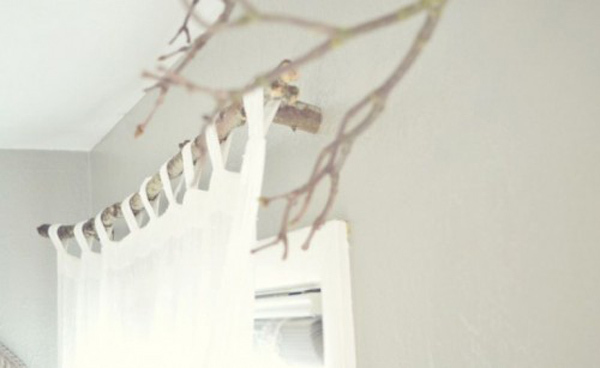 If you are creative and pro-environment, you might consider using ecologically sound ingredients in your interior design, such as tree branch curtain rods! 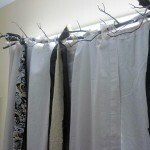 Of course not every interior design might be appropriate for branch curtain rods, but hey – there are plenty of different ways to use tree branch as a curtain rod. Perhaps it might actually work out. 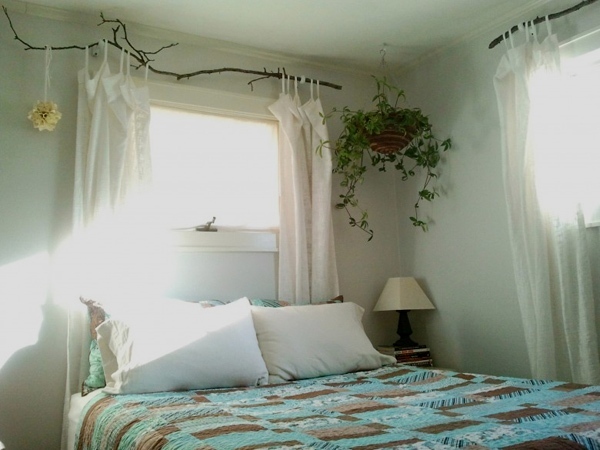 All you need for that is of course, a curtain that fits your interior, a branch that is not too big or to small, sand paper, a screwdriver and screws, or some nails. 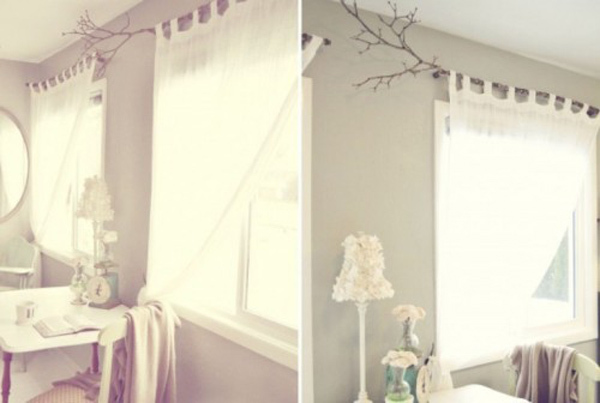 Before installing your custom tree branch curtain rod, make sure that you remove all the little branches, that can be pretty annoying. 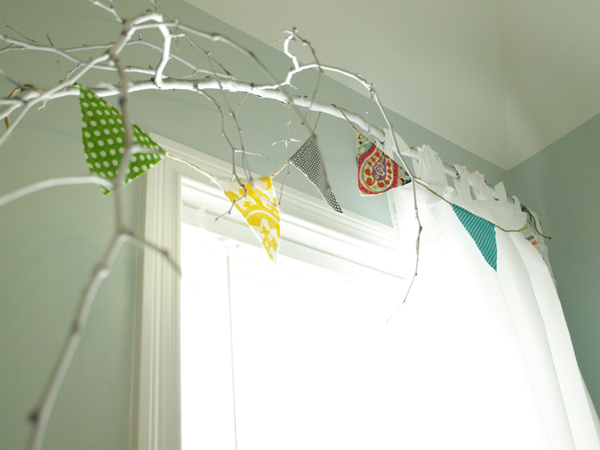 It is important to maintain the branch look, but without extra rods that would spoil the whole idea. Next step is for a sand paper to go over the branch, so it won’t have tiny splinters. Now, to install the curtain rod you will need either nails or screws. There are two ways of doing it – with an extra little log that will be screwed into the wall as mounting mechanism, or it can be nailed right into the wall. 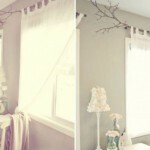 So, once your curtain rod is hanging, it is time to dress it up with curtains. 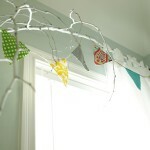 It is important to think about how you are going to put up these curtains, with loops or with little metal rings. In the last case, make sure that the rings are already on the branch before you nail it. 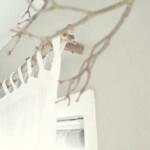 Now, that your curtain is all ready, take a step back and enjoy its awesome and ecological design. You know now for sure, that such curtain rods are very original and can be found only at your place because no branches are the same.